It has long been suspected that there is an association between shift workers and a higher incidence of heart attack and stroke. Researchers conducted a systematic review of 34 studies and concluded that “Shift work is associated with vascular events, which may have implications for public policy and occupational medicine”. The review included more than two million shift workers, and it left no doubt that there is a greater occurrence of heart disease and related issues among those who work night shifts, rotating shifts, or any other non-daytime shift. 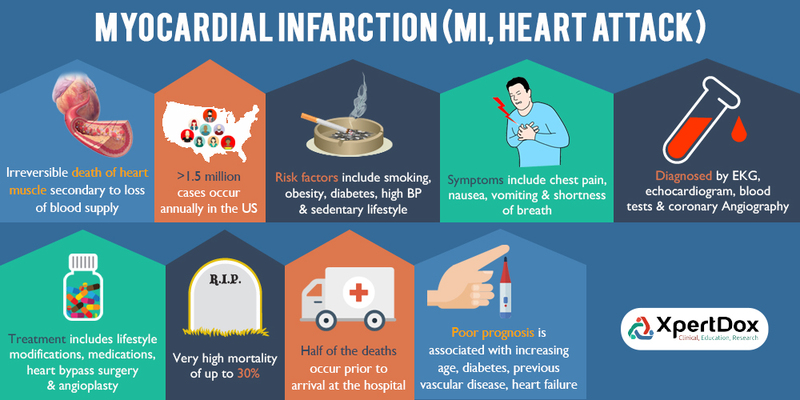 In the review of these two million cases, it was found that the single highest incidence of heart attack or stroke was in those people working a night shift, and among these, the likeliest time for some form of heart disease came in the first ten years on the job. Statistically, night shift workers are 23% more likely to have a heart attack than their day-shift counterparts and 5% more likely to suffer a stroke. However, the number of deaths related to heart disease were no greater for shift workers. Why is there a greater risk? Although the reasons for the disparity between day-shift and night-shift workers is not fully understood, there are strong indicators that the biggest culprit is that night shift workers do not sleep as well as those on a normal day shift. Anything which disrupts the body’s wake-sleep cycle can have a serious impact on health, particularly in the predisposition toward heart disease. Another factor seems to be attributable to eating habits which are less healthy for night shift workers. Sometimes they sleep through the dinner hour and miss a healthier meal, then wake up and snack endlessly to make up for it. Late in the shift when energy is fading, sugary pick-me-ups often take the place of a meal at home which might be much more nutritious. The single most helpful thing a shift worker can do to help alleviate the risk of heart disease is to make every effort to secure a good period of sleep each day. This might mean wearing very dark sunglasses when leaving work, keeping the bedroom darkened for optimum sleep, screening out background noises which might interfere, and anything else which might act as a disruption to a good block of sleep time. When you do wake up, turn on all the lights in the rooms you’ll be moving around. The point of all these activities is to trick your brain into accepting your alternative pattern of day and night, so that a new wake-sleep cycle can be established, and you can enjoy a deeper sleep. Another great idea is to take healthy food to work with you, for ‘lunch’ time and for whatever breaks you might have. Eating at odd hours isn’t nearly as detrimental to your health as the kinds of foods you eat at those times, so make sure the foods you take are those which your body can use. Make sure to take whatever breaks you are allowed, exercise if possible, and if you are a smoker – quit smoking immediately! Sameer Ather MD, PhD is a Cardiologist based out of Birmingham, Alabama and is also the co-founder and CEO of website www.xpertdox.com, which is designed to help patients suffering from rare or serious diseases.